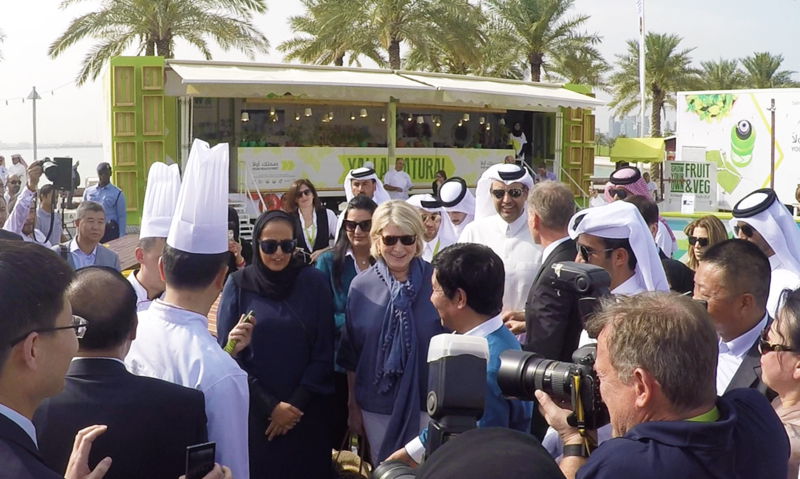 The Yalla Natural roadshow has once again been part of Qatar International Food Festival, showing thousands of visitors that healthy food can still taste great. The roadshow is part of the Sahtak Awalan: Your Health First campaign that is run by Weill Cornell Medicine – Qatar (WCM-Q) in participation with the Ministry for Public Health. Yalla Natural aims to encourage families and children to get back to basics, using fresh, organic food, taking regular exercise and maybe even growing their own fruit and vegetables. To help encourage them, the Yalla Natural truck is fitted out with lots of activities for all the family, including a planting desk where families can plant their own vegetable seeds to take home, cookery demonstrations, a healthy recipe wall, from which people can choose recipes to cook at home, and the famous blender bikes, where visitors could make their own delicious, healthy smoothies while exercising. Nesreen Al-Rifai, Chief Communications Officer at WCM-Q, said Yalla Natural – and the wider Sahtak Awalan campaign – is aimed at improving the health of the whole community. She said: “Through Yalla Natural we strive to engage with everyone in the community and give them the knowledge they need to protect their own health and the health of their family. 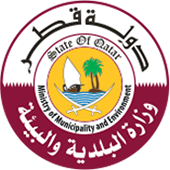 The Qatar International Food Festival is a great opportunity to reach out to people and advise them about healthy lifestyles, as good health is one of the core tenets of Qatar National Vision 2030. One of the star attractions of the Yalla Natural roadshow was Chef Eric Cousin, Corporate Executive Chef at AMLAK, who demonstrated to people how to cook quick, healthy and tasty meals, before offering them a sample of the finished dish.